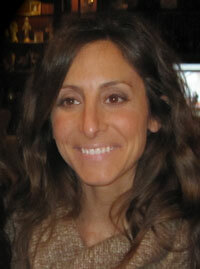 Dr. Fava is a bi-coastal trained clinical psychologist working in Eastern Suffolk County. She is a New York State licensed psychologist, specializing in the treatment of children and families with a history of trauma, depression and anxiety, childhood behavioral issues, relational difficulties, learning disabilities and academic related problems, sensory dysregulation, and social skills deficits. Services are available to children and parents who have found it difficult to sustain a healthy and enjoyable relationship due to a wide range of mental health issues that interfere with the child’s functioning in various domains of life. Dr. Fava received her Ph.D. in Clinical Psychology from California School of Professional Psychology at Alliant International University, the longest standing professional psychology school in the US. Dr. Fava's dissertation, focused on the relationship between Complementary and Alternative Medicine Use psychological well-being, spiritual well-being , and social support among people with Fibromyalgia. Dr. Fava’s educational history includes B.A. with Honors in Psychology from Sacred Heart University. Her Thesis was a study examining test anxiety and parental support on 3rd, 4th, and 5th grade students. She has trained at the facilities on the east and west coasts of the US, and most recently completed her predoctoral and postdoctoral fellowship at a non-profit clinic specializing in early childhood mental health and parent- child attachment. Her clinical approach is comprehensive, goal-directed, strength-based and sensitive to individual culture, beliefs, and values. Her therapeutic style integrates psychodynamic approach with elements of cognitive-behavioral and problem-solving models of psychotherapy.